This handmade artisan ring is made of solid .925 Sterling Silver with genuine Onyx gem. The gem’s is house made of solid 10K gold and underneath there are 3 grains of copper, tin and led. 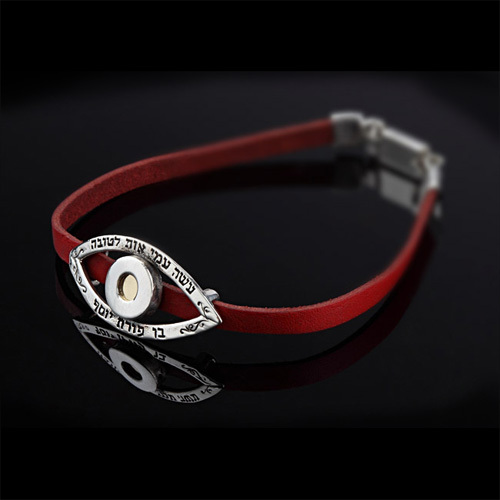 The ring carries on each side phrases for success and health. 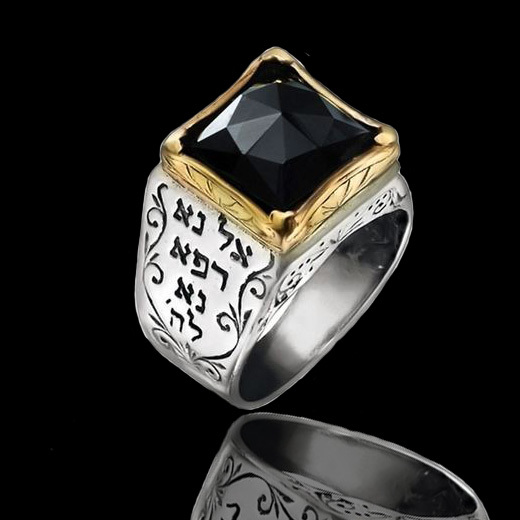 By wearing the ring and looking at it a few times a day we allow our spirit to absorb the blessing’s energies. 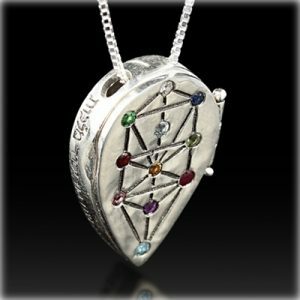 Made in the Holy Land, Israel by a Kabbalah artist and blessed by a Rabbi on the night of the full moon, to give it pure energies. 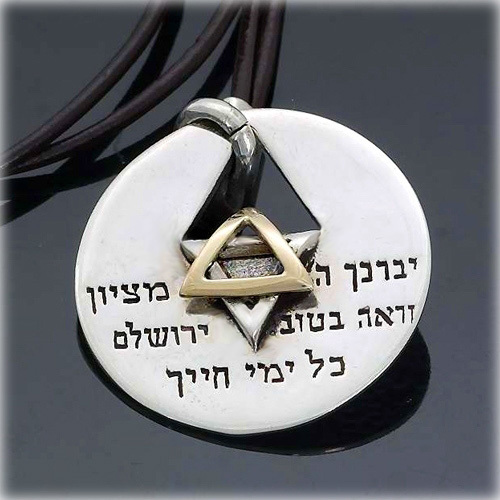 As it is written in the Holy Scriptures, the method of making the Kabbalah jewel together with the moment of its creation creates a powerful amulet for success, health, livelihood and abundance, union and fertility and protection from evil. The time of creation is at the end of shabat (Saturday night) right after the event of the full moon. 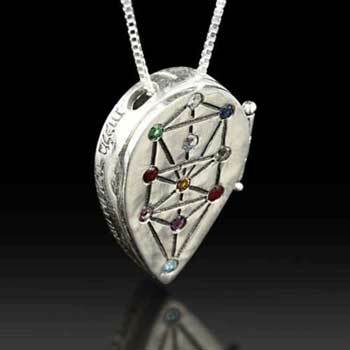 According to the book of Yezira (Creation) and the Kabbalistic astrology the 5 elements also generate additional benefits to the holder of the jewel. Gold: The Sun – Represents vitality, infinite power for success, livelihood, happiness and wealth. 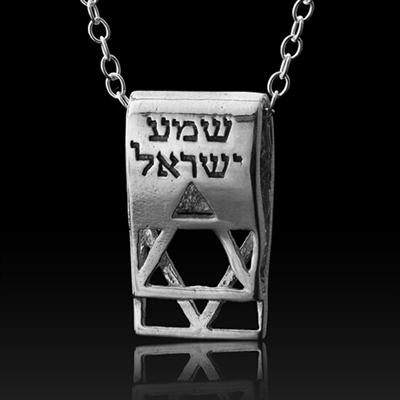 Also symbolizes the masculine side. Silver: The Moon – Represents the needs of the soul, family and children, serenity and peace, compassion and kindness towards self and others. Also symbolizes the feminine side and Monday. Copper: Venus – Represents the expressions of the soul, creativity, love, relationships, peacefulness, harmony and unconditional love. Tin: Mercury – Represents comprehension, communication, changes, courage to act, tapping into inner strength, release from negativity. Lead: Saturn – Represents self fulfillment, authority, feelings, the bridge between the past and the future, harness the power of life, and awareness.